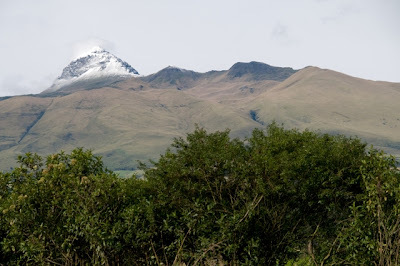 An old extinct and eroded volcano located in the southern part of Quito. Due to its shape as a heart it is named “Corazon” which means heart in Spanish. It is a very easy walk up to the summit. Ruins on the northeast slopes (rather overgrown). There is a path to the summit. Accommodation either in Quito or Machachi. Estimated climbing hours: 4h. Ascent, 2h. Descent from the foot of the volcano.